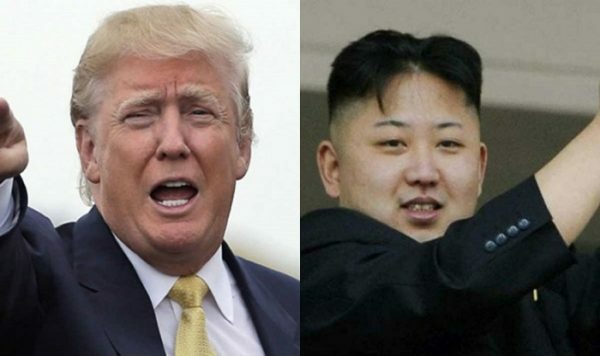 Donald Trump has been described by North Korean media as a “wise politician” who could be good for the Asian country. According to an editorial in DPRK Today, the Republican billionaire was a “far-sighted presidential candidate”. Donald Trump recently said he would be willing to meet North Korean leader Kim Jong-un, and has also proposed withdrawing US troops from South Korea. Analysts said the editorial was not official policy but likely reflected Pyongyang’s thinking. The writer, Han Yong-mook – described as a Chinese North Korean scholar – said Donald Trump’s policy on US troops would make the North’s “Yankee Go Home” vision come true. North Korea has long wanted US troops to leave the Korean peninsula. “The day when the slogan becomes real would be the day of Korean Unification,” said the editorial, first reported by website NK News. It suggested Donald Trump’s statement that he did not want to get involved in any conflict between North and South Korea was “fortunate from North Koreans’ perspective”. Han Yong-mook also said US voters should reject Democratic candidate Hillary Clinton, calling her “dull”. “The president that US citizens must vote for is not that dull Hillary, but Trump, who spoke of holding direct conversation with North Korea,” he said. North Korea had earlier this month dismissed Donald Trump’s proposal to discuss Pyongyang’s nuclear program with Kim Jong-un as “just a gesture”. “I think his [Donald Trump’s] idea of talk is nonsense,” So Se-pyong, North Korea’s ambassador to the United Nations in Geneva, had told Reuters.